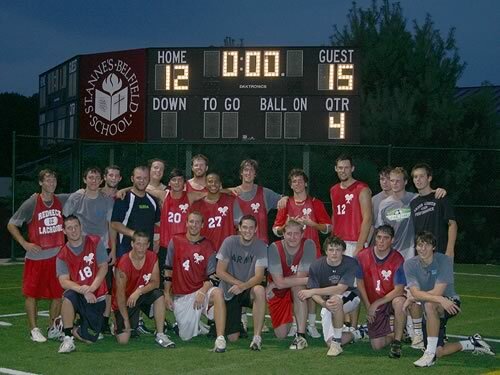 The 2009 edition of the Charlottesville Summer Lacrosse League will open regular season play on Sunday, June 21, 2008. League play occur on Tuesdays, Thursdays, and Sundays, through the end of July. The Charlottesville Summer Lacrosse League is open to all men 15 and older; the cost of the league is $75. All players must be members of USLacrosse. Applications are available here, and must be received by the league by June 16th. For more information, call Doug Tarring @ 434.295.5550.